Did you know that orzo in Italian actually means barley? It’s the size and shape of an unprocessed grain of barley. Since most haven’t seen unprocessed barley, orzo is commonly related to rice. Because, well, it looks like a piece of long grain rice, and just like rice, it’s versatile! 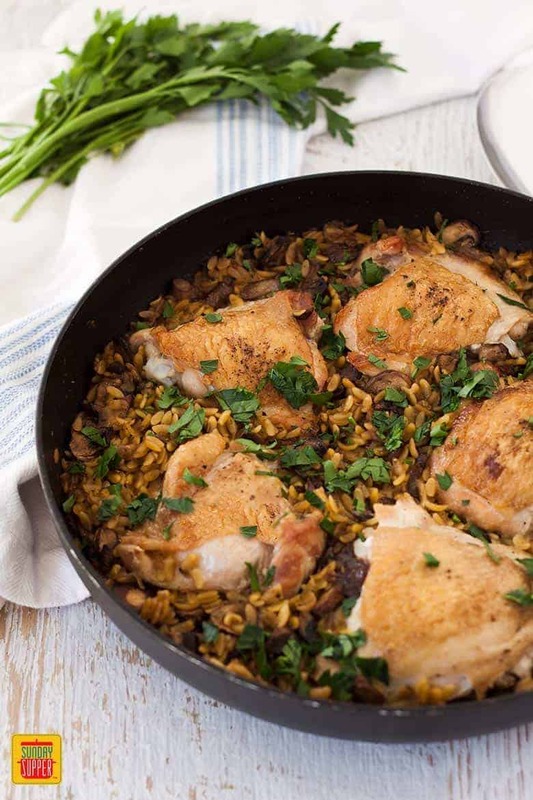 There are many orzo pasta recipes, and it’s especially scrumptious in skillet meals like Orzo with Chicken and Spinach. 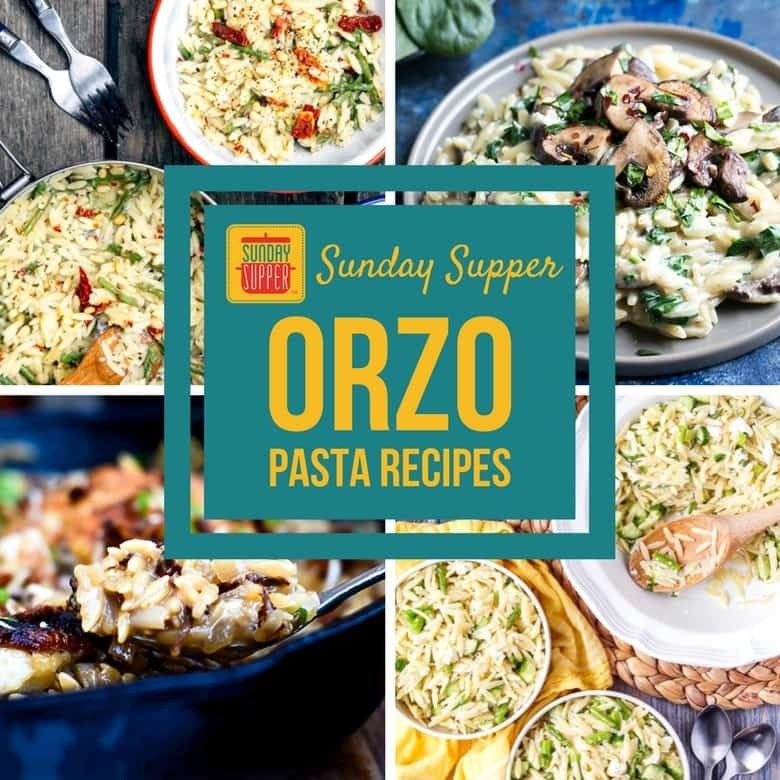 Orzo has many names, but we simply call it delicious in any recipe. From salads tossed with orzo, to baked casseroles and skillet dishes, it’s a pantry staple that makes many easy family dinner recipes. Orzo is so versatile, it can even be used in place of rice for risotto, like in this Creamy Turkey Orzo Risotto. Be careful not to overcook your orzo. Overcooked orzo turns to mush quickly! For best results, bring 3 quarts (12 cups) of salted water to a boil. Add 8 ounces (1 ½ cups) orzo pasta and boil 8 to 10 minutes or until the orzo has a firm, chewy texture. Keep this ratio in mind when you’re cooking your orzo pasta! Orzo easily clumps together after cooking, so if you plan to toss it in a salad, we suggest rinsing it or coating your orzo with olive oil. It will keep those delicious “grains” of pasta separated for your salad! If you’re adding orzo to a soup (and it makes for great soups! ), remember that it will absorb enough liquid to expand up to four times its size! Unless orzo is the star of the soup, less is more. 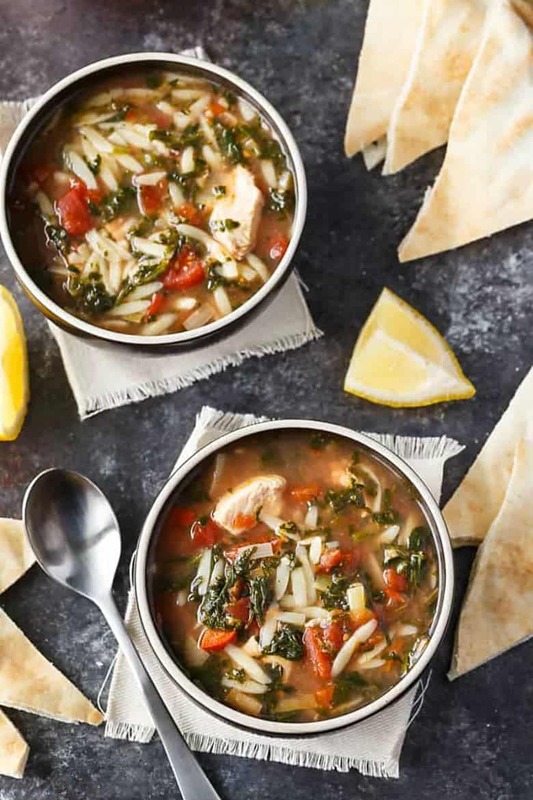 We recommend no more than a 1/4 cup of orzo for your 8 cups of soup. Toasting your orzo not only adds color, but a delicious flavor to your pilaf, salad, or orzotto (orzo risotto)! 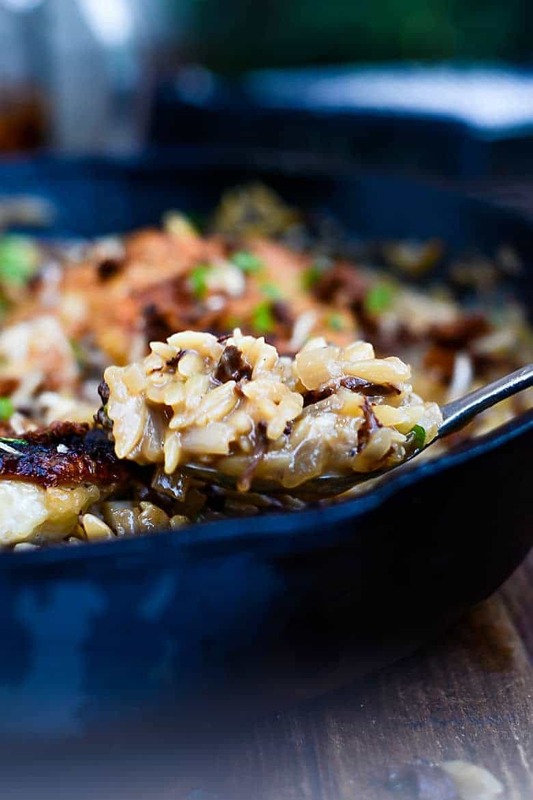 Simply coat the bottom of a skillet with a little oil or butter and stir in your orzo. Toast the orzo until it’s a golden brown color before adding your cooking liquid. It’s amazing how many different orzo pasta recipes there are. 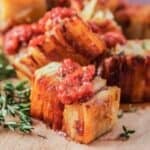 Below are some orzo dish ideas we love that are fun and fantastic ways to serve up this perfect pasta! 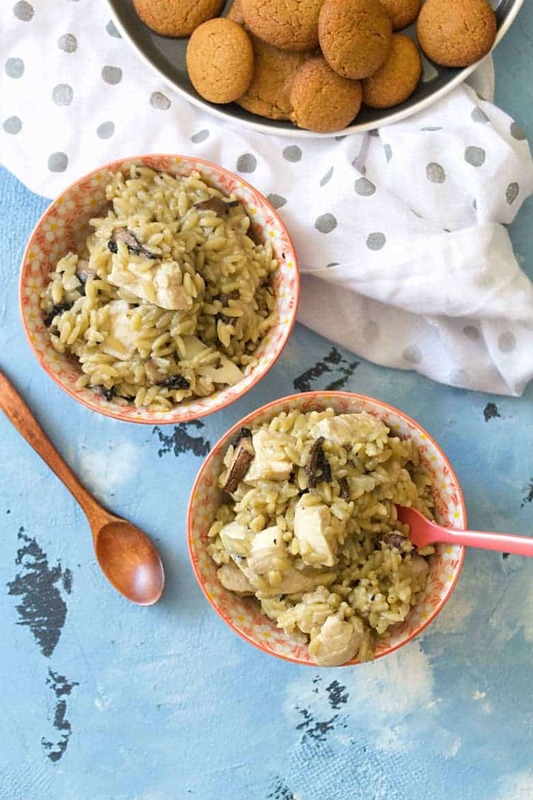 We all love easy, one pot meals like this One Pot Chicken Orzo Pasta. 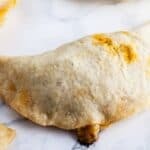 It has simple ingredients and tastes amazing. 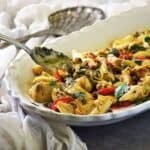 It’s a one pot pasta meal your family will love and ask for often, and since it’s on the table in under 30 minutes, you won’t mind making this easy dish any night of the week. Fill your bowl with bright spring flavors with this Lemon Orzo Pasta Salad! It’s packed with thin, spring asparagus, English cucumbers, green onions, and crumbled feta. 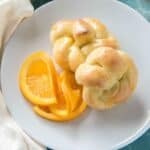 Tossed with a lemon Dijon vinaigrette, it’s perfect for picnics, barbecues, or summertime family gatherings around the table. 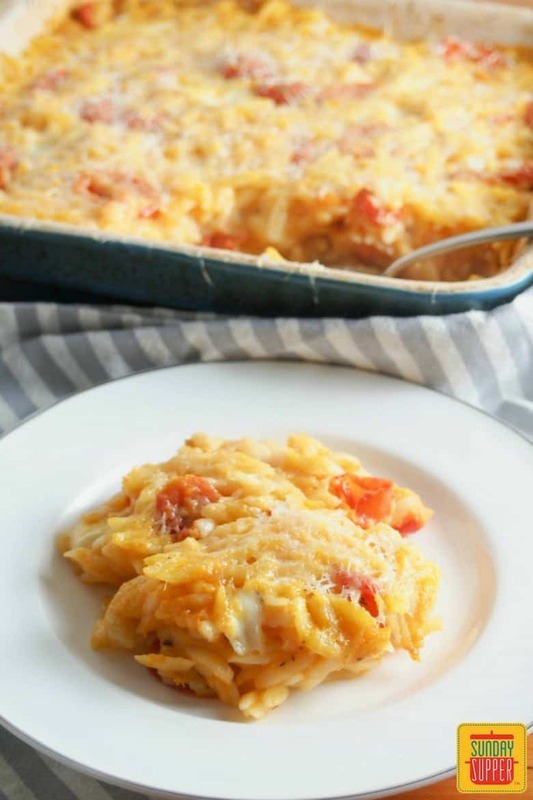 A hearty and delicious side dish full of flavor, this Cheesy Orzo Pasta Bake is perfect for cold weather, comes together easily, and sneaks some extra vegetables in the butternut squash sauce. Salads are a great way to enjoy healthy orzo recipes! This Stuffed Orzo Salad is just that. 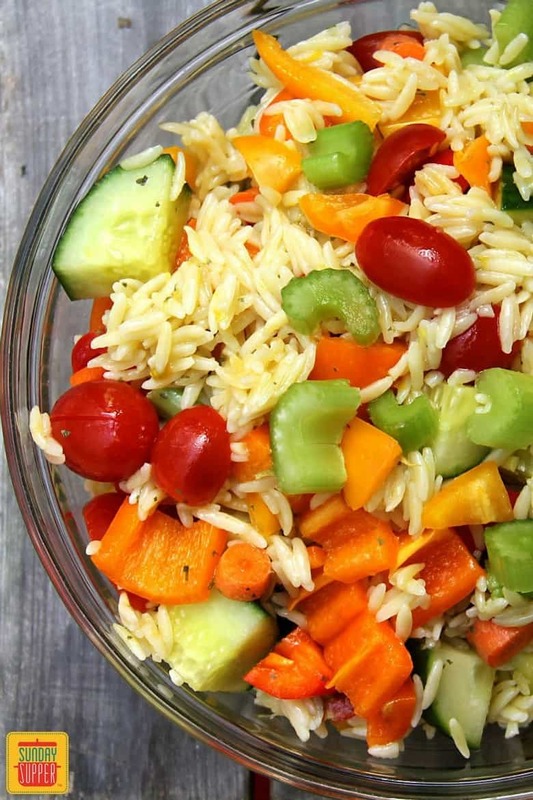 Stuffed with deliciously crunchy vegetables, and then tossed with a light lemon vinaigrette, this is an easy orzo pasta salad recipe that can even be served cold. Leftovers taste great the next day, too! Packed with lemon and dill flavor, this Greek Chicken Orzo Soup is a twist on a comfort food classic: chicken noodle soup. Simply Stacie cooked the orzo on the stove to prevent overcooking, and made the rest of the soup in the slow cooker. Orzo pasta recipes are plentiful in Greek cuisine. 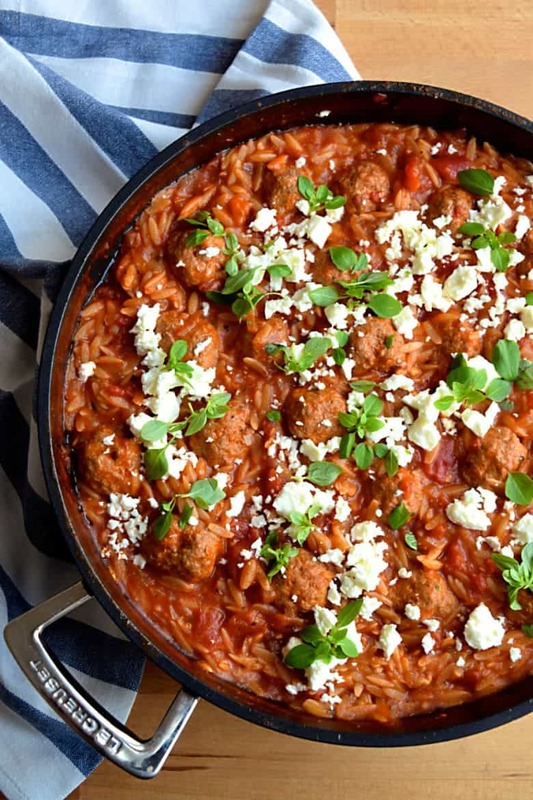 Rachel Phipps made a One Pan Greek Lamb Meatballs with Orzo & Feta that is a Greek spin on a classic pasta and meatballs dish. Not only does it make a stunning presentation on your table, but the leftovers reheat well the next day, too! 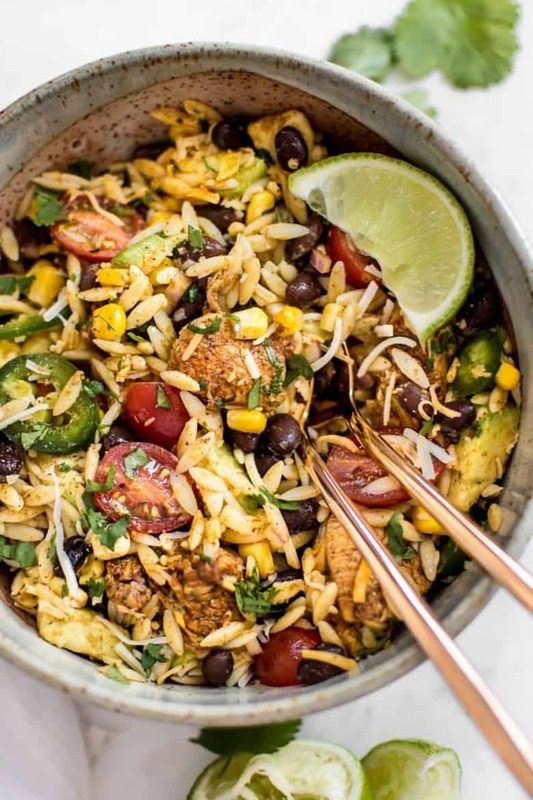 Mexican cuisine typically uses rice, but Salt and Lavender used orzo in her Mexican Chicken Salad with Orzo, and it’s amazing! This is a quick and easy orzo pasta recipe your family will love. Supergolden Bakes knows that nothing screams Greek flavor like tomatoes and feta. 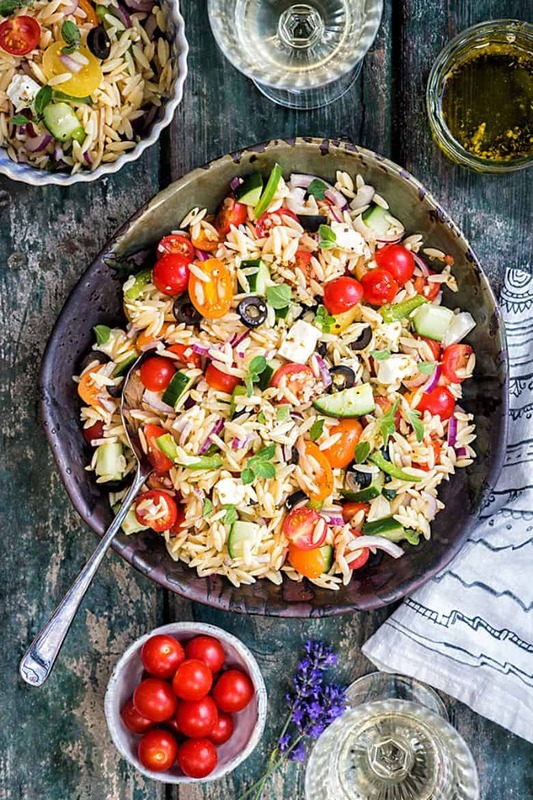 She shared this Greek Orzo Pasta Salad with Tomatoes and Feta as her go-to side dish for barbecues and picnics. It’s also perfect for lunches. 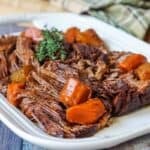 Fresh Off the Grid shared this one pot recipe that she made while camping. CAMPING! That’s how easy it is to make! 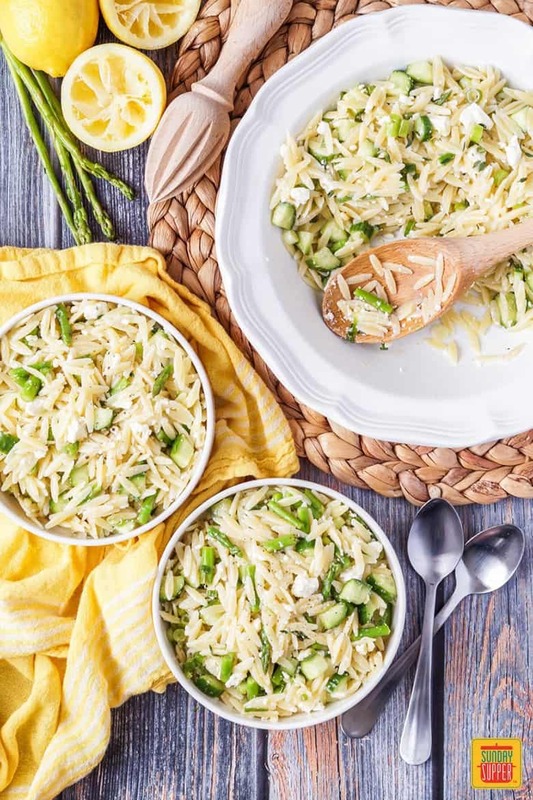 Her Cheesy Asparagus One Pot Orzo makes a hearty main dish for two, and you can easily stir in some cooked chicken or other meat for a family sized meal. 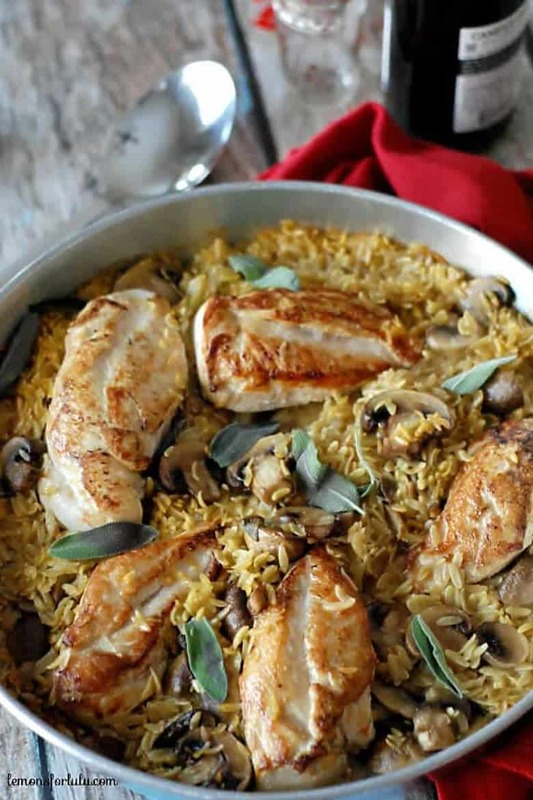 We love one pan orzo pasta recipes like this One Pan Chicken and Wild Mushroom Orzo. 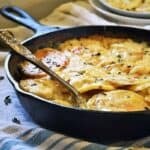 Food Above Gold adds very little cream to this recipe despite its risotto-like creamy appearance, keeping it light but so flavorful! Lemons for Lulu cooked her orzo in the oven for this Baked Chicken and Orzo recipe! 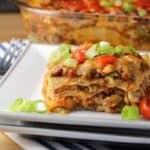 It’s comfort food in a casserole dish, and gets that perfect, crispy top your family will fight over, while still being tender and delicious underneath the irresistible chicken. 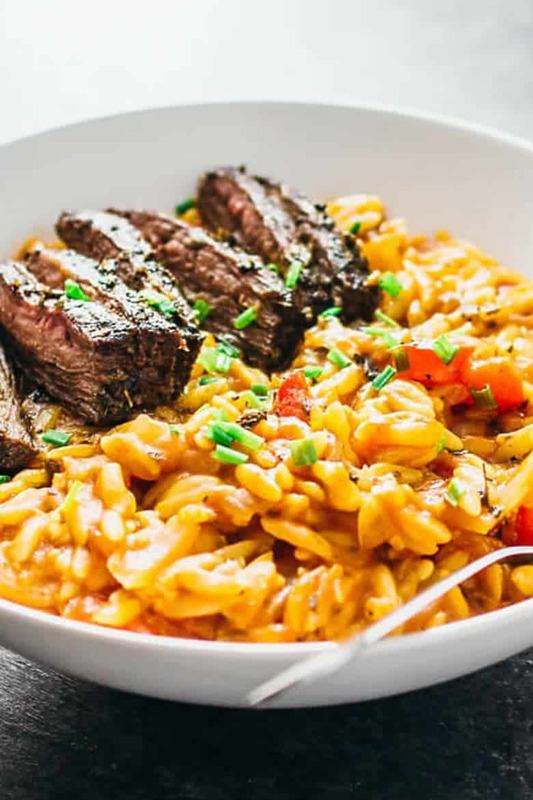 This Skirt Steak Orzo Pasta Skillet is not only made in just one pan, but is a great re-purposed meal. Savory Tooth made this delicious dish from leftovers she had on hand from other meals. We think it’s a great way to use up leftovers! Carmyy makes this One Pot Parmesan Chicken and Mushroom Orzo to nosh on for lunch for the rest of the week. It’s an easy meal prep recipe that comes together in a flash, so it’s great for weeknight meals or weekday lunches. There are so many one pot orzo pasta recipes that we love that it’s difficult not to share them all, especially when they’re as delicious as this dish from Peas and Crayons. 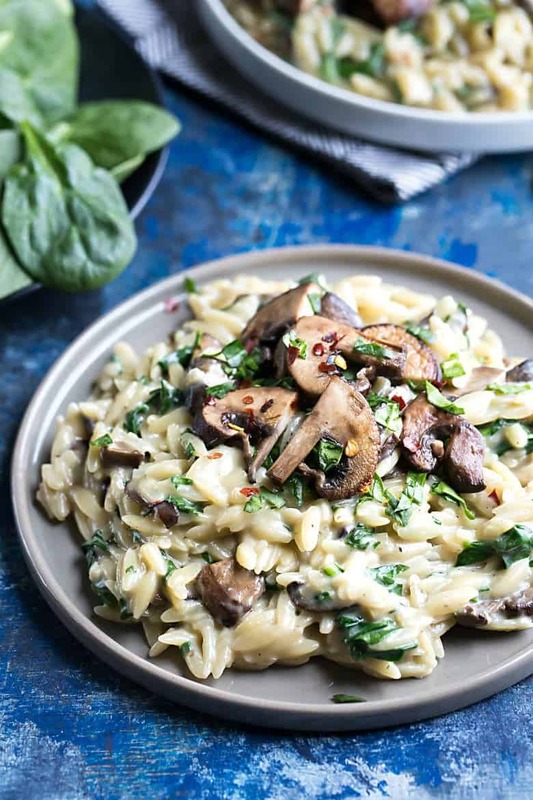 Her One-Pot Garlic Parmesan Orzo with Spinach and Mushrooms is creamy and rich just like risotto, but without all of the stirring. For some of you, Spring has sprung. For the rest of us, we’re still waiting! 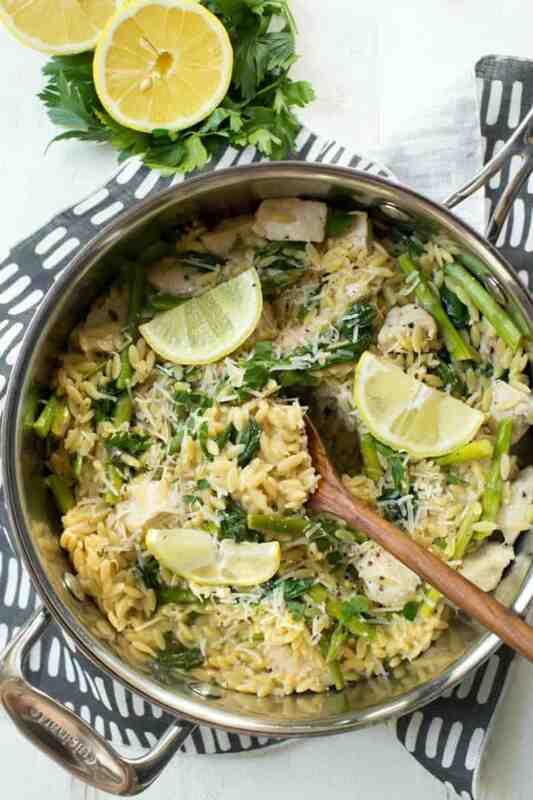 While we wait, we can dream of making this One Pot Lemon Chicken, Spinach and Asparagus Orzo. A Spoonful of Flavor packed this orzo recipe with lemon, asparagus, Spring spinach, and delicious Parmesan cheese. Another delicious Spring vegetable that we can’t get enough of is zucchini! 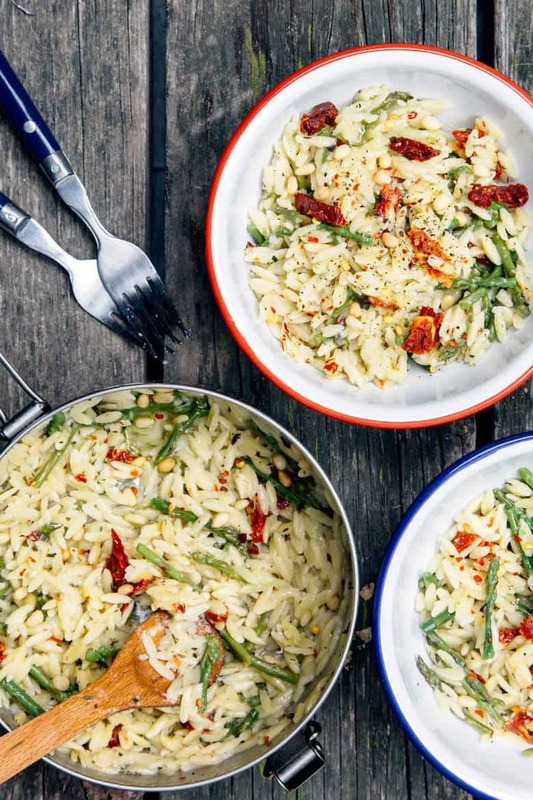 Umami Girl packed one of her favorite orzo pasta recipes with this hearty (and abundant) Spring vegetable. 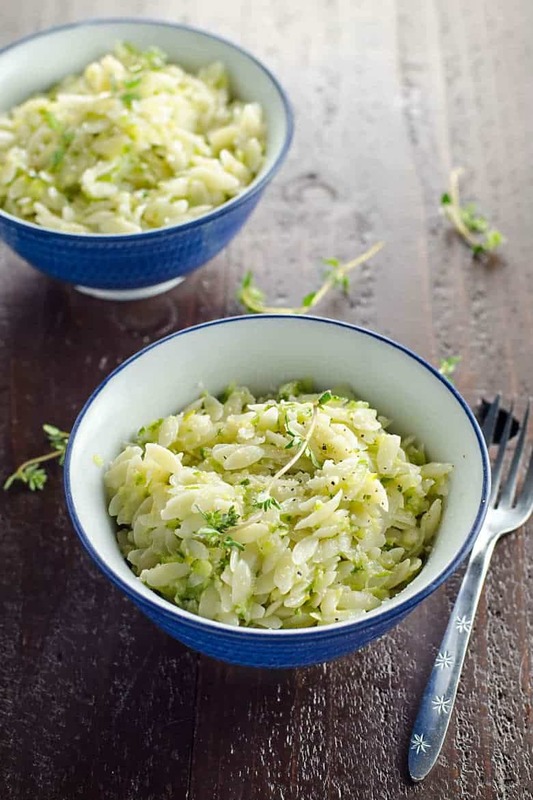 She says this recipe for Camille Kingsolver’s Disappearing Zucchini Orzo is a great way to shred up three large zucchini. 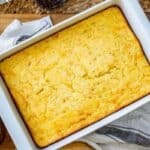 It also makes a great lunch or side dish to take to any barbecue or picnic. Looking for more delicious orzo pasta recipes? 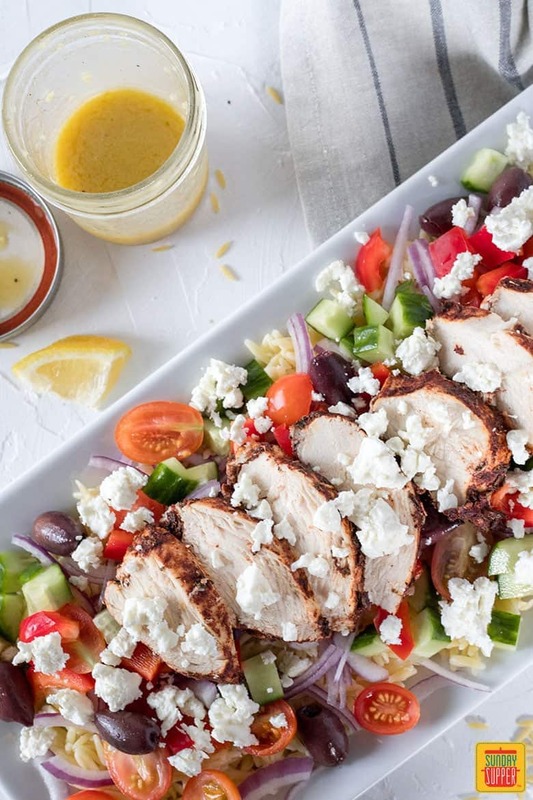 Click the recipe title above for our Greek Orzo Pasta Salad with Chicken and more Sunday Supper recipes for your family! I love orzo… it’s so underrated, in my opinion. Great to see all these orzo recipes in one place. 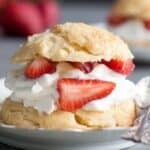 🙂 Thanks so much for including my recipe! I agree, Natasha! It really did deserve a roundup of its own. Ahh, thanks so much for including me! Happy to! 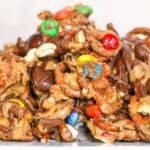 Thank YOU for your awesome recipe!